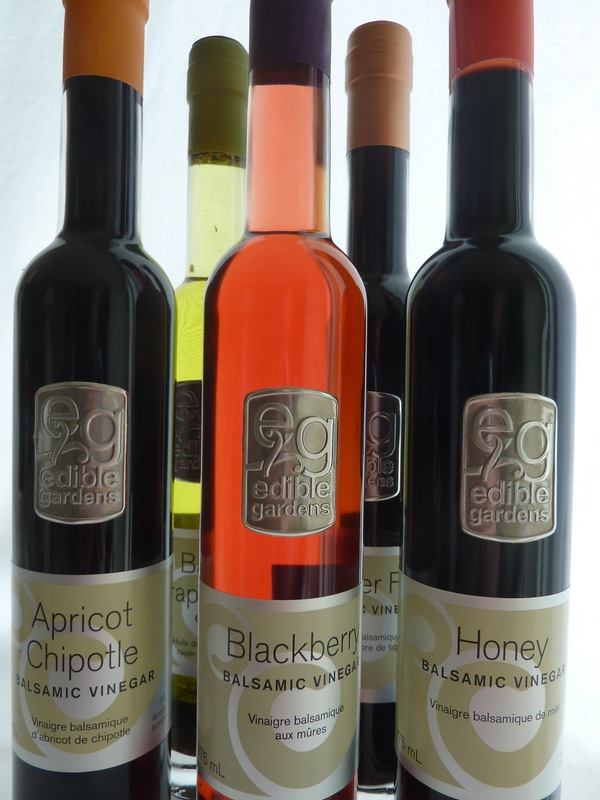 edible gardens has a full line of exciting INFUSED BALSAMICS. and our World Famous Basil Oil made from fresh Basil and healthy cold pressed Grape seed Oil that marries perfectly with all our infused Balsamics. Your product has been recommended to us from one of our customers. We own a Gift Shop, Inspired Arts and Gifts in Yarrow. Our store hosts over 100 B.C. artists and artisans. Would you be interested doing wholesale? We would love to add you as our retail partner in Yarrow! I’ll follow up with a personal phone call in the morning. Thanks for the great news that your customers are requesting our products! I recently saw your Apricot Chipotle and Roasted Garlic balsamic vinegars and I was wondering if they are gluten free? Hi Chelsey! Yes our entire line of edible gardens products are Gluten Free! Enjoy!